The Digital Health Innovation Platform (d.hip) was established by an alliance between university medicine, industry, and science for the purpose of accelerating the digitalization of medicine and healthcare. The Universitätsklinikum Erlangen, Siemens Healthineers, the Friedrich-Alexander-Universität-Erlangen-Nürnberg, the Fraunhofer Institute for Integrated Circuits IIS, and Medical Valley EMN have signed a memorandum of understanding to this effect. The partners’ stated goal is to use the Digital Health Innovation Platform to stimulate research into new areas and to conduct development so that it is even more interdisciplinary, clinically and scientifically relevant, and practice-oriented than ever. The platform will make it possible to implement innovations more efficiently and effectively, thereby reducing the time-to-market. Patients and healthcare providers in Germany and abroad will be able to benefit from new developments more quickly. The digitalization of healthcare will change workflows and structures in clinical operations. It enables innovations that can improve quality and efficiency in all segments of healthcare. This requires expanding key future technologies and the associated capabilities – which is why the Friedrich-Alexander-Universität Erlangen-Nürnberg is planning to significantly expand its research and research-related training in the field of Digital Health over the next few years. “We’re contributing our proven research expertise to the Digital Health Innovation Platform. 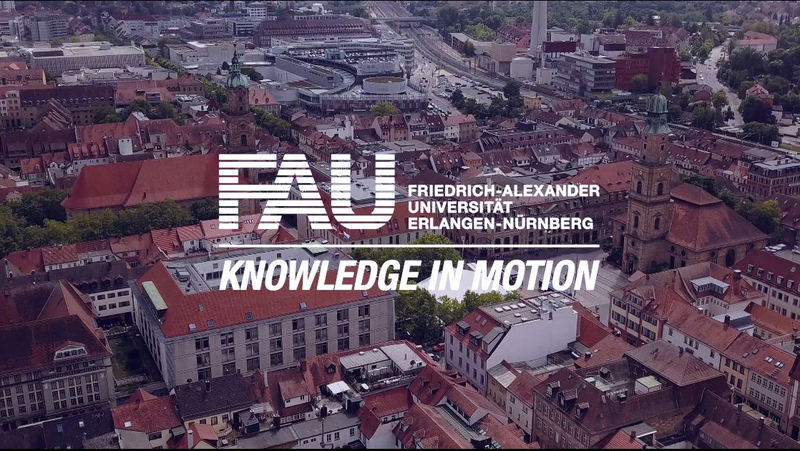 For FAU, this is another excellent opportunity to demonstrate our innovative strength and distinctive ability to cooperate in interdisciplinary, cross-institutional teams. We’re one-hundred-percent competitive and compatible in this field,” emphasizes FAU President Prof. Dr. Joachim Hornegger. The partners will be combining their medical, technical, and economical expertise to generate innovations. Among other things, machine learning will be used to render hospital procedures more efficient. For example, automated processes in clinical imaging can be tested that permit earlier diagnoses of breast cancer with a better detection rate. Methods for mathematical optimization and machine learning can help optimize the planning of operations, thus improving planning reliability. In addition, the partners see the integration of new technologies as having tremendous potential for improving medical care. “Clinical-grade wearables and sensor-based monitoring can promote a healthier lifestyle and improve treatment compliance or help to introduce adjustments to treatment early on. Intelligent image analysis methods for digital pathology can also support the selection and adjustment of individual treatments for tumor patients,” states Prof. Dr. Albert Heuberger, Director of the Fraunhofer Institute for Integrated Circuits IIS in Erlangen, describing the potential of modern cutting-edge research.